Kids will easily learn all 50 states as well as lots of interesting facts about each state by playing this Fill-the-House game! 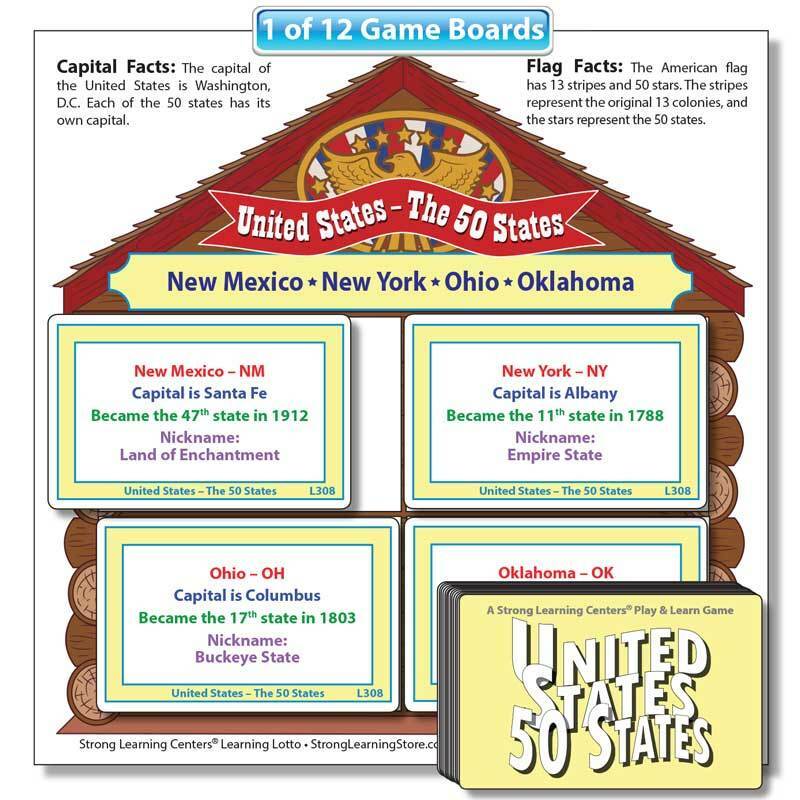 Similar to "bingo" and "lotto," playing the United States - 50 States "Fill-the-House" game is lots of fun, and they learn all about the United States. Includes 12 house boards and 48 window cards, each containing interesting facts about the states.